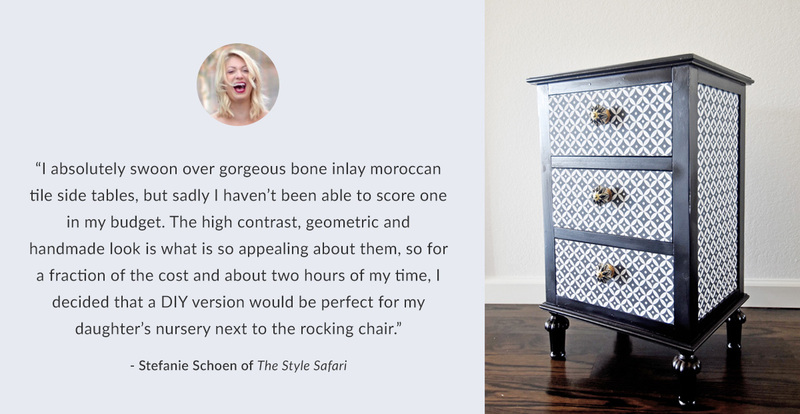 Choose a design from the Spoonflower Marketplace or upload your own art to create a one-of-a-kind look for walls and gifts. Our removable wallpapers are perfect for rental spaces and any smooth, non-textured walls, yet they can also be used for home décor projects, such as shelf liners or bookcase backings. Plus, our heavyweight gift wrap isn’t just for presents: it’s also a great choice for custom posters and wall art, scrapbooking or crafting. 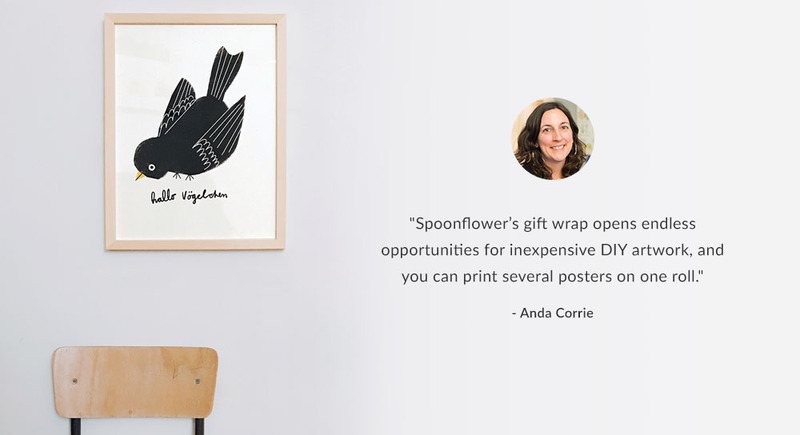 See how to print your posters on gift wrap with Anda Corrie! All of our wallpapers and gift wrap are printed with eco-friendly water-based latex inks that carry the GREENGUARD Gold certification. Our Smooth wallpaper is made with up to 10% post-consumer waste, is eligible for LEED credits and can be recycled. Unlike much of our competition that offers a cheaper peel-and-stick wallpaper, we developed a Woven wallpaper that is completely free of vinyl, which is one of the most toxic chemicals on the planet. With the ability to order custom lengths ranging from 1-15ft, you can get just what you need to complete your project, big or small.